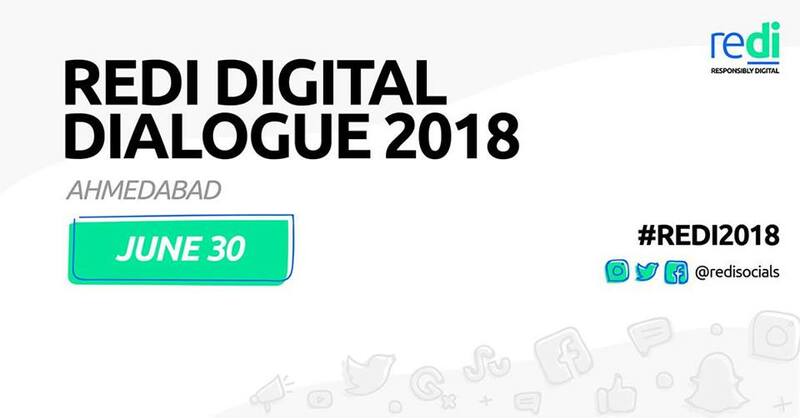 Come, Learn, Share and Network at REDI, one of the biggest digital dialogue event in Gujarat. Workshop 3: Learn The Art of being a 280 Character Ninja on Twitter by TweeSurfing Team of Centre for Society & Research in association with Twitter India. 2. Panel Discussions on Digital Media & Mental Health & Digital Trends & its impact on you & brands. 4. Key Note Address on “Twitter for Transformation & Governance” by Mahima Kaul, Head, Public Policy, Twitter India. 5. REDI for GOOD Award Ceremony & Networking Dinner. It is a one-day extravaganza which brings digital media influencers, experts, and top brands at one place in Ahmedabad. Save your date: June 30 (Saturday ) from 9:30 am to 7 pm.